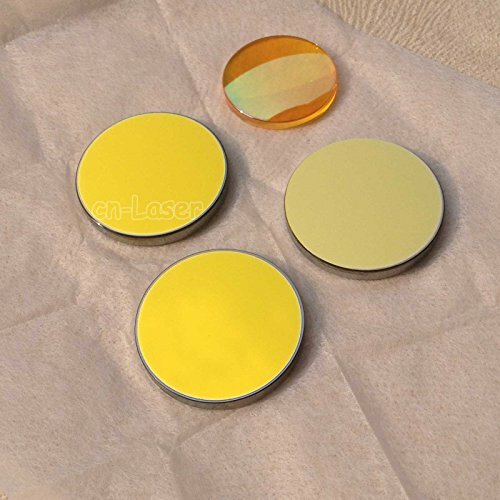 3x 20mm K9 Mirror +1x 12mm Focal IIVI znse lens 10600nm CO2 Laser Engraver Cutter 40W by Cole at Video Camera Authority. MPN: 3K920-12IIVI. Hurry! Limited time offer. Offer valid only while supplies last. Features: Mirror material: K9 Lens material: IIVI znse Mirror diameter: 20mm Lens diameter: 12mm Lens FL: 2''. Compatible with 40W CO2 laser. Compatible with 40W CO2 laser. Expedited Shipping 4-5 wroking days from China to USA by DHL, Fedex or UPS.